How to Apply for KVS Recruitment 2018? 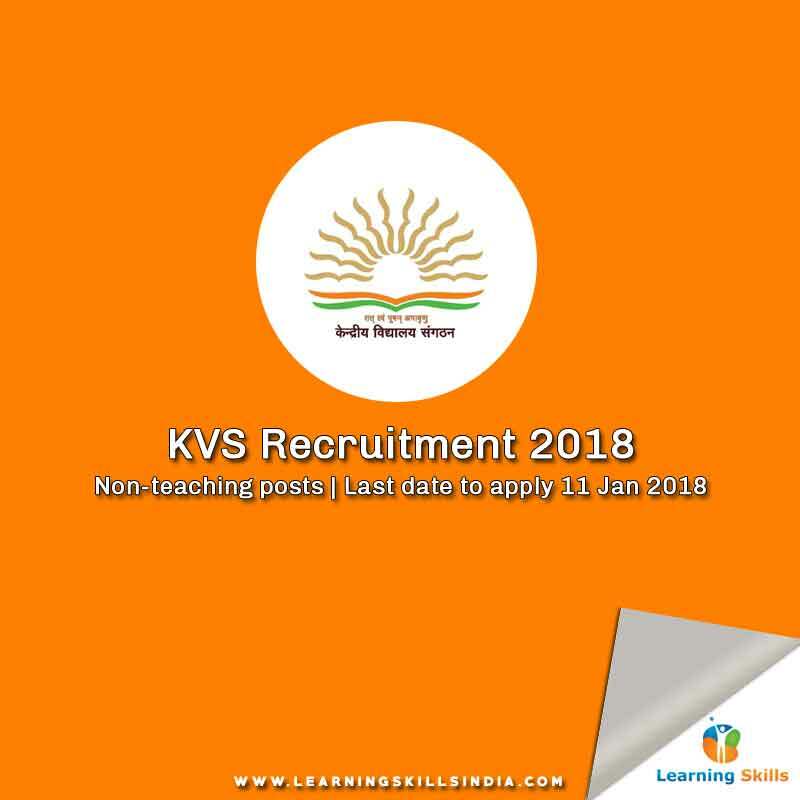 KVS Recruitment 2018 notification announced on 20th December 2017 with the deadline 11th January 2018 for online registration. Kendriya Vidyalaya Sangathan manages around 1183 Kendriya Vidyalayas including three abroad, 5 zonal institutes of education and training, and 25 regional offices across India. It has come out with total 1017 vacancies for various non-teaching posts in KVS schools. These vacancies also include Librarian, Clerical position, Stenographer, Finance Officer and Engineer job positions. As KVS is funded and controlled by Central Government of India therefore pay is as per the 7th Pay Commission. We have included all important information of KVS Recruitment 2018 notification here. From eligibility criteria, job position vacancies, important dates to the application process. If you have questions, then feel free to use the comment box below. We would love to resolve your queries. There is the total of 1017 vacancies notified as per KVS notification 2018. In most job positions, the exam pattern is based on Computer-based Test/Written and Interview. However, there are few job positions where you will have to appear for Skill Test such as Assistant Officer, Finance Officer etc. The weighting in the most job vacancies is divided into 85 for Test and 15 for Interview. But again in Skill Test, case, it is mandatory and some KVS job vacancies are exempted from the interview. So, before you start preparing for KVS Recruitment 2018, please do read the target job KVS vacancy’s exam pattern. We have provided the PDF file below where you can find the relevant exam pattern information. In each case of job position opportunities offered at KVS, the eligibility criteria are different. Therefore, it is imperative to read in detail and understand the eligibility criteria before you apply for the job position at KVS. The eligibility criteria for KVS recruitment consists of age, educational qualification, desired skills, and experience. Inability to fulfill eligibility criteria for KVS jobs will automatically lead to cancellation of candidature and application. Hence, it is recommended to all candidates to read in detail the eligibility criteria and ensure maximum compliance with it before applying for the job. 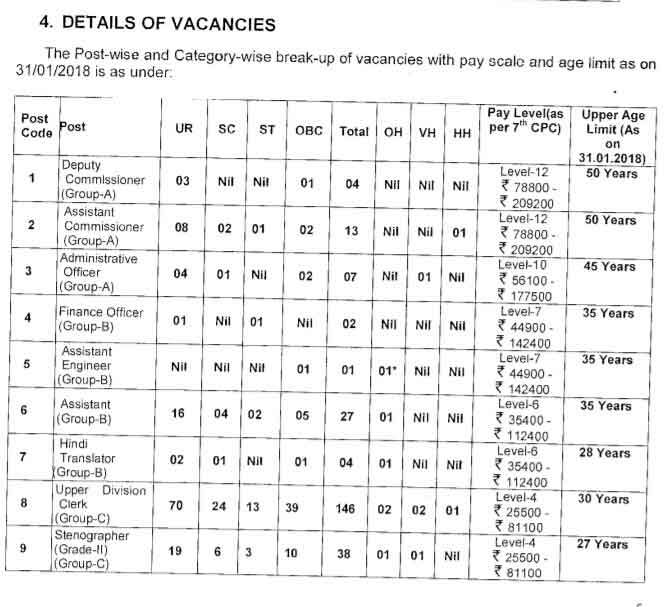 Below is the PDF of the official eligibility criteria for the various job positions offered in current KVS recruitment 2018 process.